Emeterians: Brother Wildman, Sister Maryjane and Maga Lion have taken the unusual step of sharing lead vocals and harmonies, each singer having unique vocal qualities that compliment their plethora of tracks. Emeterians did not start out as Reggae singers. Between them they covered multiple genres however were drawn to Reggae music because it reflects their true beliefs and is in alignment with their spirit. Their very name, ‘Emeterians’ is a tribute to Emeterio’s Rehearsal Rooms – holding special memories and a place in their hearts. 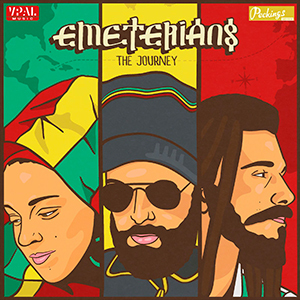 Musically, through a combination of styles- Roots, Dub, New Roots and Revival Reggae, Emeterians successfully generate an original Jamaican flavour. The trio maximise this by executing their songs in different ways. They enjoy working/performing in various formats including; 4/5-piece bands- especially The Forward Ever Band, sound systems and acoustic sessions. 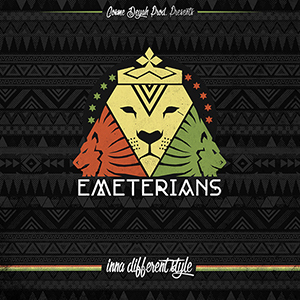 Notable Achievements: Emeterians have been at the forefront of reggae music since their conception, performing at the best clubs, live music events and making media appearances. During the past decade, Emeterians have been influential in raising the profile of reggae and popularising it both within Spain and across Europe, leading to an impressive record of international festival appearances. Included are: Reeds Open Air, Mount Zion Festival, Foundation Reggae Festival and Rototom Sunsplash – the biggest European Festival where all the top artists perform. The Emeterians felt very blessed to play at the festival twice, in 2008 and 2011, and to win the Spanish contest (a part of the festival,) appearing on the main stage in Italy at the climax of this prestigious event, an opportunity to share their music with a huge crowd. They were also winners of ‘Best band’ in the ‘World Music,’ ‘La Noche en Vivo,’ (Madrid) -contest on two recent occasions and awarded first place in the Tetuan Festival – renouncing their prize to give another artist the opportunity to record an EP. Whilst appreciating their achievements, Emeterians are more concerned with spreading their message of love and unity across generations worldwide. Live Performances: reflect the energy and harmony of the group, being Professional, Dynamic, Passionate and Spiritual. Having captured the attention of Cecil Ruben, the trio has appeared many times at Hootananny, Brixton, UK. Emeterians are a first class tribute act and perform under the name,’ Versionites,’ treating audiences to full sets in their shows including Bob Marley & the Wailers, Abyssinians and Alton Ellis. Due to public appreciation of tribute acts Emeterians have created their own Spanish festival for female vocalists, ’Sisters Sing the Reggae Queens.’ Proceeds donated to women in need in their native Spain and poor countries: Haiti, Costa Rica. Emeterians have recorded several EP´s, singles, five albums and a mixtape which reflect their musical journey. September 2017 sees the release of the brand new UK Stringray label production courtesy of Dillie Mcleod, where I can proudly say Sista Maryjane, Magalion and Brother Wildman have all come of age, with this exceptional, mature and breath taking album, which catapults the trio into the eyes of the world, especially when decent music is a must in the reggae industry. 2016- The Journey - under Peckings Records label, distributed by VPAL music, produced by Chris Peckings and Cosme Deyah and mastered by Mike Caplan at Lion&Fox , this album reflects their personal and musical journey to the UK. Some of the best Peckings Studio 1 riddims made into unique songs. From Rocksteady and Lovers Rock to Dub and Revival Reggae, filled with great harmonies and truthful lyrics. 2015- Inna Different Style- mixtape for free download. Recorded and mixed by Cosme Deyah in London, UK. 12 tracks that celebrate more than 10 years of experience. 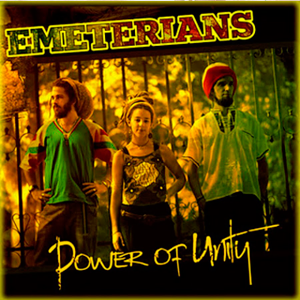 2011- Power Of Unity- a strong, original, versatile album showcasing Emeterians depth of talent presenting new songs in new styles, based on a roots foundation. Recorded- Okoume studios under Raszic label in Madrid, Spain. Production- Ras Kuko; Mixed- Raquel Fernández; Mastered-Michael Caplan, Lion & Fox studios, USA. 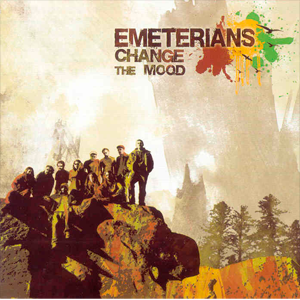 2009- Change The Mood- Emeterians created a vintage sound, adopting techniques from Jamaican studios back in the 70’s; focus on Dub mix. Recorded- Attick Studios. 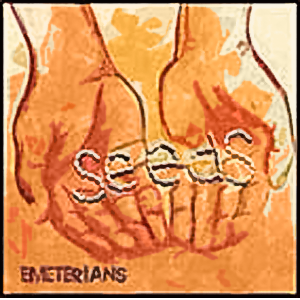 2007- Debut album~ Seeds- creating a positive introduction to Emeterians’ aura, their natural approach, initiative and drive resulting in highly passionate music. Recorded- Doppler Studios. 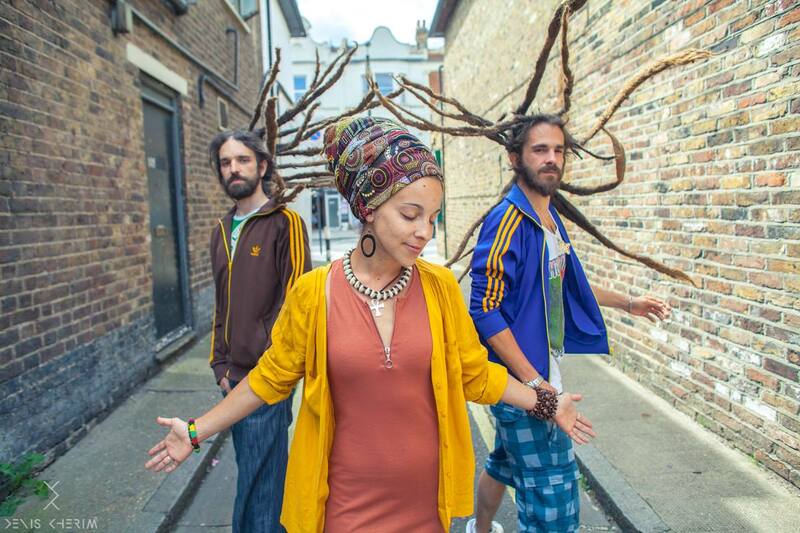 London, UK: A positive move to spread their message via the, ‘Gateway to Europe & the world!’ Emeterians see London as a strong cultural centre embracing Reggae within its multicultural society; making it a city of opportunity. Their links in the UK have enabled Emeterians to perform across the UK as a vocal trio with bands and international Reggae artists. Their recent association with Peckings Records and Stingray Records, has given them a base and platform to extend their talents through showcasing, new recordings and further international opportunities. Radio play: Emeterians regularly play and record for RNE Radio 3, Alma de Leon- Spain’s premier station featuring Jamaican music. Their music is frequently featured on Life FM internet radio in the UK, Roots FM, RJR radio and Rodigan´s BBC 1Extra. Educational Concerns: A new, exciting project- “Didactic live shows for children” in which Emeterians create a fantasy atmosphere which involves children, giving them sound historical knowledge. This has been produced for councils, schools and foundations, so far proving successful. 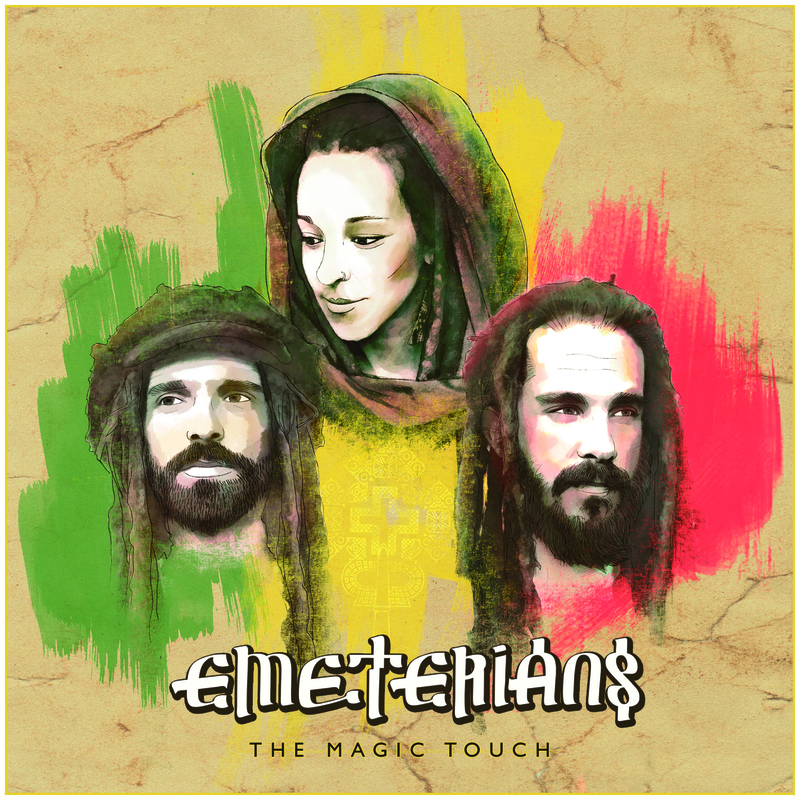 Emeterians- Highly talented trio who succeed at producing both ‘conscious’ and ‘popular’ Reggae to an equally high standard; attracting large audiences who appreciate the New Style Reggae as well as traditional Roots Reggae. Genuine people with a desire to share their music and beliefs, Emeterians constantly look for new opportunities to expand their repertoire and spread their music globally. 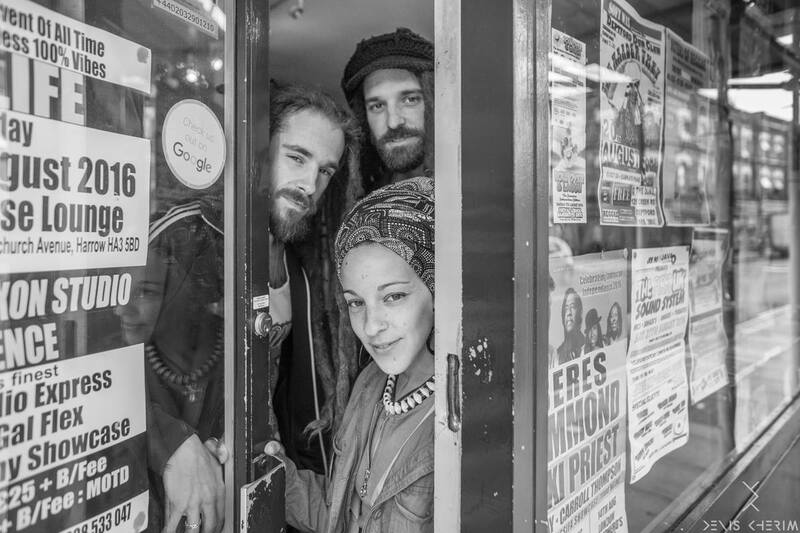 They are inventive and knowledgeable ensuring a high degree of interest in their work, which, combined with energetic performances, guarantees their place as one of today’s best European Reggae Acts with the potential to become world greats!